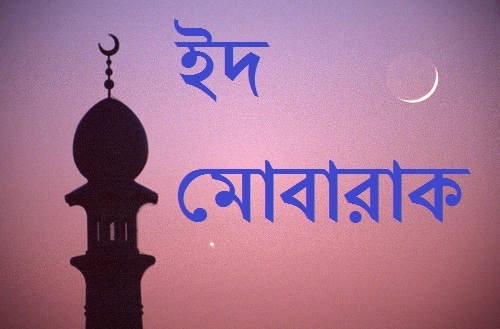 Dear friends, on this post we have shared some fantastic and romantic bangla eid mubarak, eid ul azha or eid ul fitr sms, messages, text, photos, pictures, wallpaper and images for sharing with lover , friends, girlfriends, boyfriends, husband, wife or even you can share this sms with your brother and parents. 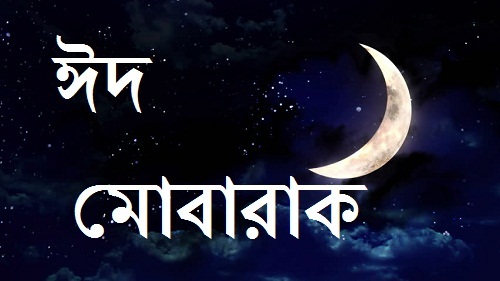 All of this bangla eid mubarak sms and shayari messages you can enjoy your eid day with all of your friends. Here you will get more bangla eid sms. Nil akashe eid er chad, eider age chadni rat. eid holo khusir din, dawat roilo eider din. Sms diye Eid Mubarak Janao. eider ekhon notun rup, bristy holo oporup. Eid aste 1 din baki……. Eid mane tomar proti amar valobasha…. Eid mane dur akashe misty chader hasi…. Eid mane sukh sagore sobai mile vashi…. Eid er proti tai etto valobasha. Dukkho Amader Kaday, Ar Amar Ei Sms Tomake Eider Suveccha Janay.